Are you searching best app to root your Android Phone ? Have already tried most of the available apps but didn't find any of them was working perfectly for your Android Device to root it completely. Then don't worry we are here going to provide you an App which let you know that what will be the Best rooting app for your Android Device. If you have already tried most of the apps but didn't work for you. Then this app is going to surely help you in rooting of your Android Device without using PC/Computer. By using only this app you don't have to keep extra apps like Root checker and all. It can also tell if your phone has been rooted. So if you are using hit and trial method to root your Android phone like Sony, lenovo, HTC, Micromax etc. then you don't have to do that. Just use only this app and all your Android Phone of different companies will be rooted. But as we already know that exceptions are always there. So let's see what this app can do for you. To know which app will root your Android device is easy by using this app. You don't have to Google about any other things. Just download the app and install. It'll automatically tell you which apps will be suitable to root your Droid without wasting your time on fumbling out more corresponding apps on Internet. So what you have to do ? Just follow the below steps on How To Know which app will be best for rooting your Android. 1.First of all go to Play Store and search Root All Devices. 2.Download this app and Install it in your Android device which you want to root. 3.Now at the home page of the app you'll see Auto Search or Manual Search Option. 4.Select the Auto Search option and it'll tell you all required information about your Android Phone. 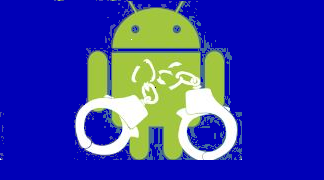 5.Along with information it'll show the suitable Android rooting app which can root your Android. 6.Just select any of them and download it. After this you just have to use that app to root your Android. 7.Done ! Now you just have to verify whether your Android has been rooted or not ? Just open the Root all devices app again and verify it. For this you don't have to download Root Checker app. So this was the tutorial about how to use Root all devices app to root any Android device easily without any hassle. Don't need to waste your time on searching that which app will root your Android device easily without taking any help of PC/Computer. So use Root all devices app and Root your Android devices safely ! !